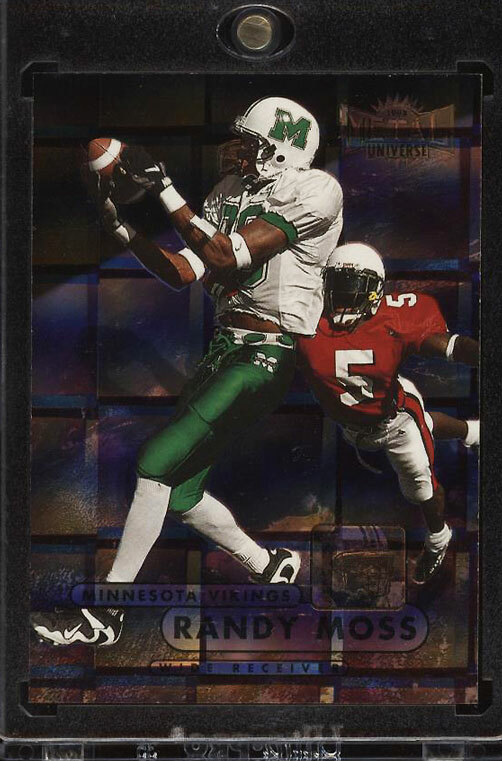 Perhaps the most important Randy Moss rookie in the hobby. A spectacular Precious Metal Gems Gem Master which ranks as the sole copy in existence. A highly condition sensitive issue which is rarely seen with such magnificent surfaces along with virtually chip-free edges. Boasts beautiful centering with four sharp corners and strong card stock. 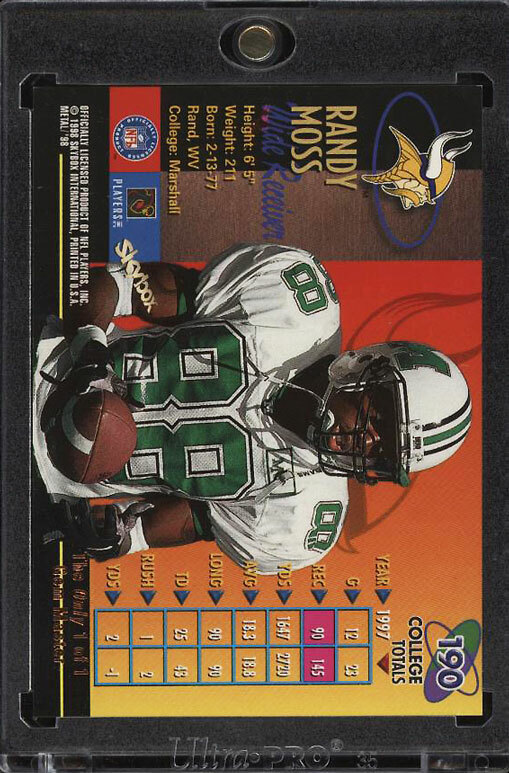 Moss is widely considered among the greatest Wide Receivers of all-time and a premier HOFer. An incredible card which commands attention. One of over 15,000 cards, lots and sets up for bid in our 7th Auction of 2018. Click on the link above to view the other PWCC auction lots.